Welcome to my reviews of the new Google Daydream View VR Handset and the upgraded Samsung Gear VR which now fits the Samsung Galaxy Note 8. I have used VR for about 2 years and in that time quite a bit has changed. There are many more apps and experiences available. The Samsung Gear VR experience is superb. Lots of apps, slick software too. The headset is over 100g heavier than the Daydream View. The Daydream is lighter and more comfortable to wear. But I had glitches using it with my Note 8, whereby I had to keep removing the Note 8 out of the headset to fix things so that I could move on again. At one point, it was driving me mad. However, it is all about the software. If you find an app or game that you prefer on one platform or another, then that might hold some more weight for you. Personally, I think Samsung is superior in both hardware and software at the moment, but is restricted by the fact it only works for certain Samsung phones. Therefore, with Daydream View you probably will end up with the ability to use it with so many different phones and brands. Now continue to the video review for more insights. Quite simply if you have a Samsung phone that is compatible with the Gear VR, then stick to Samsung’s own offering. It offers a wide selection of content and a slicker software package. For everyone else, Google’s Daydream View offers compatibility across multiple brands. It just lacks the number of VR apps and slick software experience. Welcome to my review of the Belkin PowerHouse Apple Watch & iPhone Charger stand. – Safe, neat, elegant: Elevates Apple watch safely while charging and provides easy access and visibility to both devices; built-in power supply with 1.2 m/4 feet cable and UK/EU plugs supplied for your convenience. The Belkin PowerHouse Apple Watch & iPhone Charger Stand was far better than I anticipated and now sits proudly on my bedside table. Highly recommended. Available from Amazon. Welcome to my review of the Belkin Classic Leather Apple Watch Strap with a comparison with the Nike Sport Band. – Custom designed fittings ensure a secure fit and easy band exchange. That is black metal to match the Apple Sports Watch frame! – A lot cheaper that the Apple Leather Strap. Last night Google announced the new Android Wear 2.0 update and LG announced some new watches that run the new update. So how does Android Wear 2.0 compare to the Apple Watch? – Complications are now included in Android Wear. Finally! – Android Wear now allows switching between the different watch faces like the Apple Watch. – GPS enabled android wear watches now work standalone, something Apple introduced months ago. – Now its possible to select which apps are installed on the android wear watch. – LTE – Mobile connection on android wear are possible without a phone. The Apple Watch does not offer this. – Google Fit has been revamped and now has auto workout detection. Whilst it is clear Google has copied or has been inspired by Apple, it is great to see such big and worthy improvements to the android wear platform. I sincerely hope android wear is now successful as Apple needs some competition for its Apple Watch. Apple Watch, staying fit, being more active and New Year resolutions. Sound familiar. My New Year resolution in 2017 was to continue my weight loss and improve my fitness. As you can see from the screen shot above, I have cleared all 3 activity rings on my Apple Watch every day this January, with just today to complete for the perfect month. To recap, to clear the 3 rings, you need to first do enough calories to hit the calorie goal, exercise for 30 mins per day whereby your heart rate registers higher than just walking and stand for 1 min minimum in at least 12 hours per day. Apple’s method is slightly different from a few other fitness devices eg Fitbit which set a target of 10,000 steps per day. Apple’s approach is to ensure you stay more active during the course of the whole day and raise your heart rate to complete 30 mins exercise. This year I decided to set a lower calorie target of just 400 calories per day. This meant if I was having a long day at work in meetings or driving or something else I had a higher chance of hitting this target. I don’t know about you, but if I had failed to hit the target one day during January, I could have easily given up. With a lower target, I am feeling more and more motivated and pleased that I am smashing my target. In reality, the lowest amount of calories burnt per day is 700. Every day I complete, makes me more motivated to complete the next day. I also like receiving the various achievements awarded in the activity app. After a successful day today, I will get my successful month award. The next difficult part is completing 30 minutes exercise per day. The simplest solution I have found is to listen to some upbeat energetic music, and walk/jog on the spot at home. Sometimes, exercise minutes are registered when I walk my dogs but normally walking my dogs doesn’t translate into enough exercise minutes. Of course I could go to the gym, but with such a busy life and living on rural Dartmoor, going to a gym is not practical. The final aspect of hitting the daily goals, is making sure you are sharing your progress with a suitable friend or two. This really helps maintain focus and adds a friendly competitive nature to the challenge. Now if you don’t have an Apple Watch, all of the above still applies. Don’t set an unrealistic tough goal for each day. Set one that you know you will hit to keep you motivated and compete with friend or two. A Smart Hairbrush – With Microphones, Sensors and an App – Seriously? Withings has developed the world’s first smart hairbrush that provides a holistic hair assessment. Integrating the best of hairbrush design with an array of high-tech sensors, Hair Coach sends all data automatically to the dedicated app, where you can view trends and get valuable advice on how to better care for your hair. Unfortunately this is just the start of everyday items that will have an app and connect to the internet. I just don’t see the point of this. do you?? Over Christmas I had time to experiment with different Apple Watch straps. I wanted to make my plain Series 2 watch more like the Apple Nike Watch. So I bought 2 different brand Apple Watch straps that claimed to look identical to the official versions. So what I did was go for a black/yellow finish and the same Nike looking style strap, but in a colour not offered by Apple officially. I picked the red/black finish. My observations are the plastic used in the third party straps are not of the same quality as Apple original straps, but they do costs over £30 less. As the straps have holes, they are slightly lighter, and they allow your skin breathe more. To give you a better perspective, I have filmed a short video capturing more of the differences, comparisons with official Apple straps and showing the straps against some cases, for that perfect colour coordinated look. 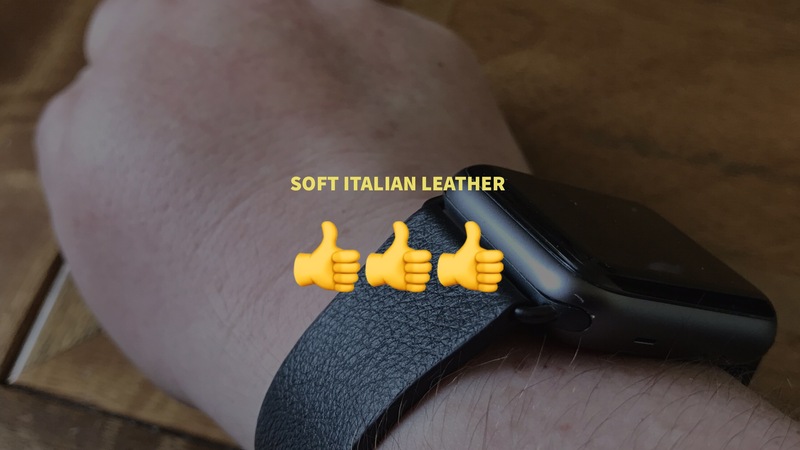 In my video review, I am hoping you get a better perspective of the different straps, the quality versus and Apple original strap and some colour coordination with some official Apple iPhone cases. My little experiment in discovering Nike style Apple Watch straps was a huge success. I personally prefer the black/yellow mix although I at times I like switching back to the red/black strap. The Nike looking straps looks gorgeous! iMiWell Black/Green Nike Style Apple Watch – Click HERE. Elobeth Nike Red Style Apple Watch Strap – Click HERE. Other colours and mixes of straps are shown on using above links. Can you believe that 2016 is nearly at an end. And what a year 2016 has been. World events have been seismic and so has the technology. So what are my top 5 phones for 2016? 5th Place – Asus Zenfone Zoom – What a phone and what a clever piece of hardware. With 3 x optical zoom, this was a fabulous phone and camera. As Apple has shown, having optical zoom is so useful. 4th Place – LG G5 – the phone that has every technical specification. Replaceable batteries, micro sd card slot, dual lens system with a super wide lens (so cool), one of the best Bluetooth music using HD APT-X and so much more. Just let down by its build quality versus its competition. If the LG V20 had been sold in the U.K., this would have replaced the G5. 3rd Place – HTC 10 – the phone that everyone forgot about, yet is the phone that has the best audio quality with a headphone jack, solid premium build and super fast. I was going to put the Google Pixel phone in 3rd, but the HTC 10 is a lot less to buy. 2nd Place – Honor 8 – with its dual lens system, infra red blaster, gorgeous hardware and £300 price point, sometimes even less, this is a killer choice and a deserved second place. 1st Place – Apple iPhone 7 Plus. Apple was helped towards this win due to Samsung suffering a PR disaster with their faulty Note 7. However, IMO there isn’t a single phone on sale at the moment that can offer everything that the iPhone 7 Plus provides. Great camera. Superb audio. iOS 10 and the Apple eco system. For me using the Apple Watch, with an iPad Air, MacBook Pro and AirPods is a dream setup. HomeKit integrates tightly and Siri for me works very well. To catch up on my reviews on all the above phones, and all the other top phones of 2016, click here REVIEWS . Using that link, you can also get to all my Bluetooth headphone reviews and more. Now in case anyone thinks I am an Apple fanboy or sheep, this is not the case. I just want the best of what’s available. Prior to the iPhone I was using Samsung S7 as my main phone with every Samsung accessory possible. However, after going through a horrific Samsung customer service experience with my Note 7, I have vowed never to use anything with a Samsung logo on it. Following my Note 7 saga I also sold every Samsung piece of hardware I owned. As we are approaching the holiday period, news and reviews will be slower. This will allow me to look at the website design and try and improve it in a few places. I will also spend more time with family and friends. So whatever you are doing at this time of year, enjoy the next few days if you can and I wish you a happy, healthy and prosperous new year! In the meantime, if you are buying anything on Amazon UK, using my affiliate link helps me towards the increasing running costs of the website. The good news shopping via my link costs you nothing extra. If you wish to make a one off dontation (thanks to everyone who has so far) please do so using my PayPal account. “Fitbit is very close to announcing its plan to purchase Pebble, according to a new report from Bloomberg, which describes the rumored deal as “imminent.” The leading maker of fitness trackers has offered jobs to roughly 40 percent of Pebble’s staff, with most of those going to software engineers. Fitbit’s buyout of Pebble will focus on the smartwatch startup’s software assets, like the operating system on Pebble’s existing devices. But the deal will reportedly not cover any hardware — including both current and future Pebble products. “The rest of Pebble’s assets, including product inventory and server equipment, will be sold off separately” says the report, which is backed by sources said to be familiar with the acquisition. Not much to say other than its a shame to see that Pebble will cease to exist soon, but one can only hope that all the talented engineers from Pebble help make Fitbit devices even better. When I got home last night, DPD had delivered my Apple iPhone 7 Plus Black and Apple Watch Series 2 Space Grey Sport with Black strap. I also picked up an Apple black leather case and a white sport band for the watch. In terms of finish, I chose black as opposed to jet black. The matte black looks cool. I have been using android for ages and picking up the iPhone 7 Plus initially felt alien. My first problem was setting up the iPhone. I have 2 factor authentication on everything, and for some reason my SMS code was not appearing. 40 mins later, a plate of salmon and veg consumed, and voila, my SMS code arrived. As you will know I had the Note 7 previously, so picking the iPhone 7 Plus up was a shock. The iPhone 7 Plus feels huge in comparison to the Note 7. However, based on the extensive drop tests by people on YouTube who have nothing better to do with their time, the extra bezels protects the iPhone a lot from damage. Next up was the process on installing my essential apps first, then syncing my photos and music from my mac. Out of all the iPhones I have setup, the 7 Plus has been the fastest to sync everything across. Out of the 256gb, I only have 129gb free and I haven’t yet installed all my apps. Now on to iOS 10. This is all new to me and I am on a learning curve. I am sure there are some bugs, in particular the iPhone 7 Plus was having some issues holding on to the mobile signal and kept showing every few minutes “no service”. This is worrying as I have a Three signal booster in the house. It should be maximum reception at all times. I will wait until I use the phone outside of my signal booster to see if it registers properly/differently on the Three network. I think this is a wifi bug as the connection held perfectly when I turned wifi off on the iPhone. While the phone was syncing and downloading apps, I set up the Apple Watch series 2. It is faster than the original watch but not night and day faster. The Apple Watch is such a geeky piece of tech but also fun to use. Apple Pay on the watch is damn cool. Watch OS3 is such an improvement over the previous versions too. I had a play with the camera, trying out some test shots and using some third party photo apps too. The camera shows a lot of promise. Is it better than the S7 or Note 7? I will answer that soon. In terms of audio, the iPhone 7 Plus is better than the S7 or Note 7 in every aspect – loudspeaker, wired headphones and bluetooth. I connected my Oppo PM-3 using the dongle to the lightning port, and the sound was excellent. Listening to music via my B & O Beoplay H5 over bluetooth was really superb too. One thing I noticed is just how many more apps I have on iOS than android. Also gaming on iOS is so much smoother. The iPhone 7 Plus is so fast to use in real world usage. I will be testing my iOS game controller at some point as well. I need to sort out my homes screen layout and folders in terms of positioning and content.Everything is not perfectly organised yet. So my first 4 hours have been a mix of enjoyment, frustration, and learning the iOS way and getting used to the new home button! All in all its a positive experience so far and I hope one that continues passed the honeymoon period. Samsung Gear Fit 2 – Fitness Tracking at its best? Welcome to my review of the Samsung Gear Fit 2. This is Samsung’s updated fitness tracker from the original Gear Fit which I reviewed along with 18 other devices. Click HERE to re read any of the previous reviews. The Gear Fit 2 includes a built-in GPS so that you track your running route, distance and speed in real time. It also has a built in heart rate sensor so whether your running, walking, cycling or elliptical training the Gear Fit 2 has you covered. Check out the video review to see all the different exercise options. The 1.5 inch display is excellent and shows all your stats needed as you workout. The Gear Fit 2 comes with a number of different watch faces, some are customisable too. The Gear Fit 2 comes in black, pink and blue. I have a black Gear Fit 2 in large. I would recommend large for most people. Samsung have added a feature called Together, which is one on one comparison with another person. S Health app is needed for this too. You can also connect a pair of bluetooth headphones and stream music from the Gear Fit 2. Overall the Gear Fit 2 is really polished affair. Now check out the video review, which reveals more information from the app and fitness tracker, watch faces, options and lot’s more. Samsung have excelled themselves with the Gear Fit 2. It is ultra comfortable to wear and is easy to understand and operate. It also is accurate and works really well. Recommended.